The purpose of this project is to build a consecrated Place of Worship for all Zoroastrians in N. America and overseas, on the OZCF lands in Oakville, Ontario. 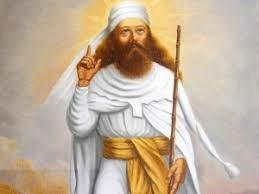 This is a very important project for the sustainability of Zoroastrianism on this continent and is being carried out with the involvement of all Zoroastrians in the community. . The Atashkadeh project is now in full flow and with the backing of the Membership we are looking forward to a very successful completion. This is the detailed document that was presented to all members before and during the 2013 AGM/EGM as background information. The membership approved the following resolutions at an EOGM on July 14, 2013. A Long Term Planning Committee (LTPC) was established by the Board of Directors to identify available options in the near future for the development of the OZCF lands. This involved performing financial, planning and social analysis to identify viable options based on the OZCF constitution and community needs. This summary document was presented to all members at the 2010 AGM and subsequently the membership agreed to establish a Place Of Worship Committee to carry this project forward.